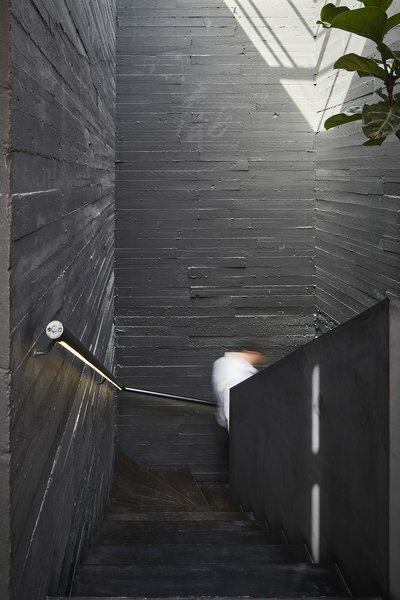 A dramatic stairwell rises through the center of architect Mehdi Berrada’s bold new home in Casablanca. 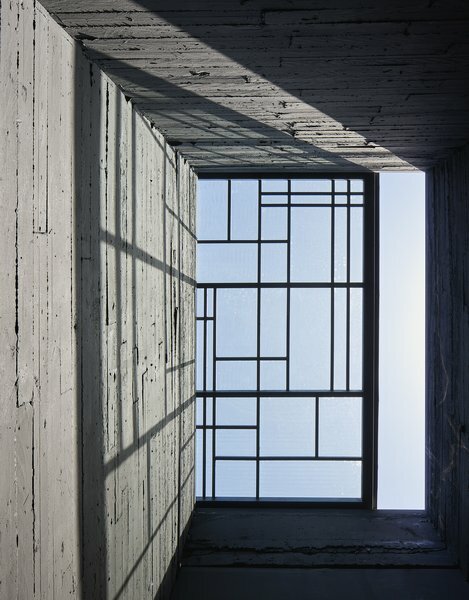 At the top, a steel-framed retractable skylight casts graphic shadows. He loves the city’s contrasts. Palm trees line elegant boulevards, while the ancient medina is a river of humanity channeled through a maze of alleyways, filled with pedestrians jostling with vendors for space. On Mehdi’s narrow residential street, the din diminishes, and even more so behind his perimeter walls. 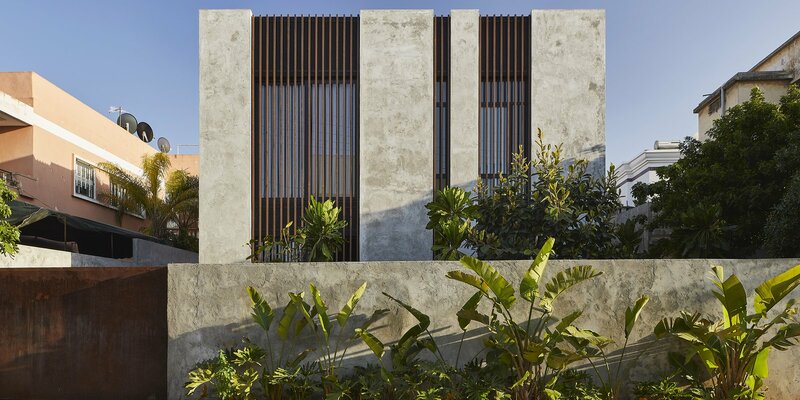 Thick tropical vegetation—false bananas, yellow canna lilies and fig trees—surrounds the house. “It’s a nest in the middle of city noises, a bunker in the jungle,” he says. 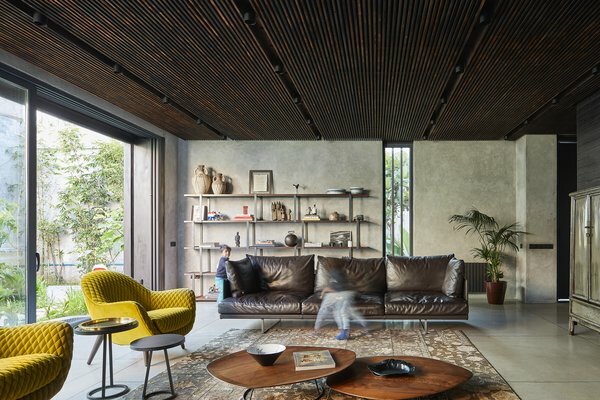 In the living room, a burned spruce ceiling—inspired by shou sugi ban, the Japanese technique of charring cedar—contrasts with rendered concrete walls and a polished white concrete floor divided into rectangles by thin brass insets. A Toot sofa by Piero Lissoni for Cassina is paired with Mad Queen armchairs by Marcel Wanders for Poliform and Pebble coffee tables by Air Division for Ligne Roset. The antique rug was bought at the Casablanca souk.